Hiking with your dog can be an amazing experience but sometimes, things don’t always go to plan. Whether it’s following an exciting new smell or simply the joy of exploration, our dog can leave us for extended periods and we naturally start to worry about their safety. A GPS tracker is a great way of keeping up with your dog’s movements, but would you know how to choose the best GPS tracker for dogs? In addition to understanding the technology itself, there are many other variables to consider when choosing a GPS tracker. Here at The Adventure Junkies, we understand that this can seem complex so we’ve done the hard work for you and found the ten best GPS trackers for dogs available on the market right now! The ability of a GPS tracker to pinpoint your dog’s location is dependent on receiving information from two different sources, satellites and cell towers. In theory, GPS tracking can be achieved without a cell service. Under some conditions, however, the accuracy and reliability of the tracking function can be significantly improved by using it together with a cell service. Besides, unless you have a database of electronic maps downloaded to your devices for offline use for ALL the backcountry you may hope to hike, the GPS signal by itself will be meaningless. The good thing is that cell providers these days provide excellent coverage across metropolitan areas. But metropolitan coverage isn’t much use when you’re hiking, is it? As the suburbs fade into the distance, cell coverage does begin to deteriorate to the point that in some remote location or locations where the terrain is extremely mountainous, obtaining a signal isn’t possible. 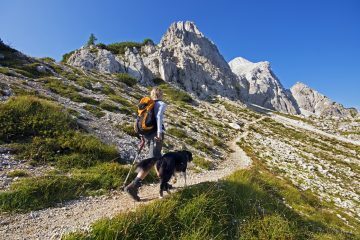 While these limitations shouldn’t stop you from investing in a GPS tracker for your dog, a good understanding is important in your efforts to keep your dog safe and under your oversight while hiking. Some cell providers are better than others, with coverage varying accordingly. 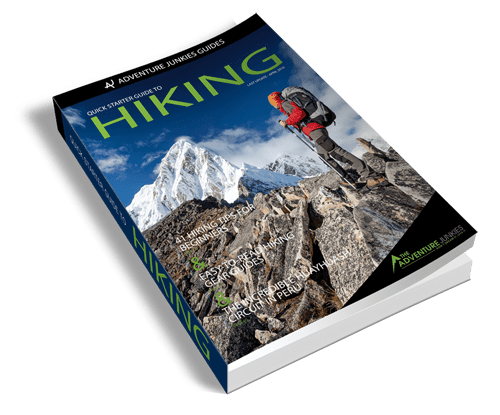 Most of these providers will include a “network coverage map” on their website where you can compare your favorite hiking destinations with their service boundaries. 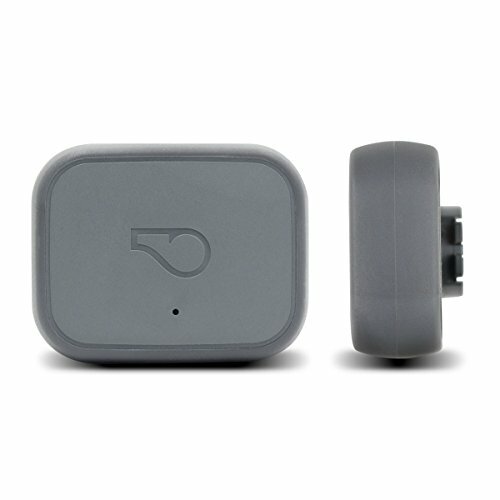 It is for these reasons that most GPS trackers are either bundled with a pre-activated SIM card or require you to sign up to a cell service provider. These costs are generally not high, typically comprising a once-off fee plus an ongoing monthly subscription. When reviewing the different GPS trackers for dogs, it is important that you not only factor in the cost of the device itself but these additional cell provider costs and supported frequency bands as well. It is also important to note that not all countries around the world use the same cell phone ‘frequency bands’. Before purchasing, check to ensure that the device you are buying is supported in your country of residence. If you know you will be spending a considerable amount of time in areas where there is no signal, you could also look into radio frequency trackers for dogs. While the technology is older and not as accurate as GPS technology, they don’t rely on satellites or cell towers to track your dog and therefore may be more appropriate for some locations. 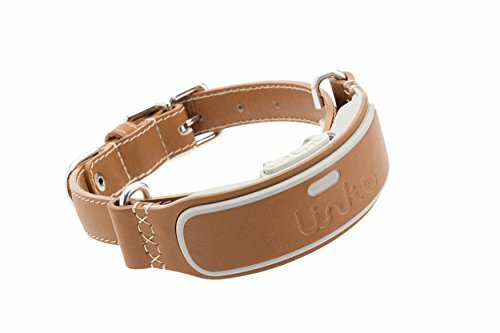 The GPS tracker that you purchase and attach to your dog’s collar is all well and good, but to make use of the information you need to install the manufacturer’s tracking application on your mobile phone. Apple and Android are the most popular cell phones, and most apps will be available for each of these operating systems. However, do check, as some older applications may only be compatible with one or the other. Depending on the GPS tracker that you purchase, the software will, at a minimum, show you the location of your dog (normally on Google maps), but may also store a history of their movements, their temperature, energy utilization or other useful information. You may also find some models providing Bluetooth and/or wifi connectivity. While not a huge advantage, this extra connectivity may prove useful. 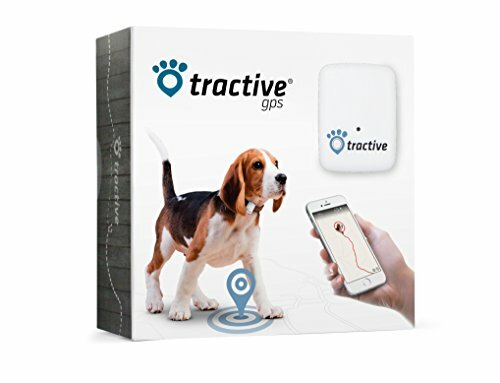 Some of the more advanced GPS trackers don’t utilize a mobile phone instead of requiring you to also purchase a small handset that is matched to the GPS tracker on your dog’s collar. 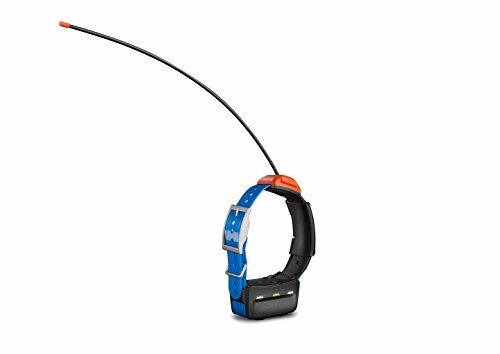 These are particularly useful if you plan on tracking more than one dog while on the trail, or need an extremely tough handset that can withstand more knocks and bumps than your mobile phone. Your GPS tracker is only going to be as useful as the battery that keeps it powered! By necessity, GPS trackers for dogs are small and lightweight, making long battery life difficult to achieve. 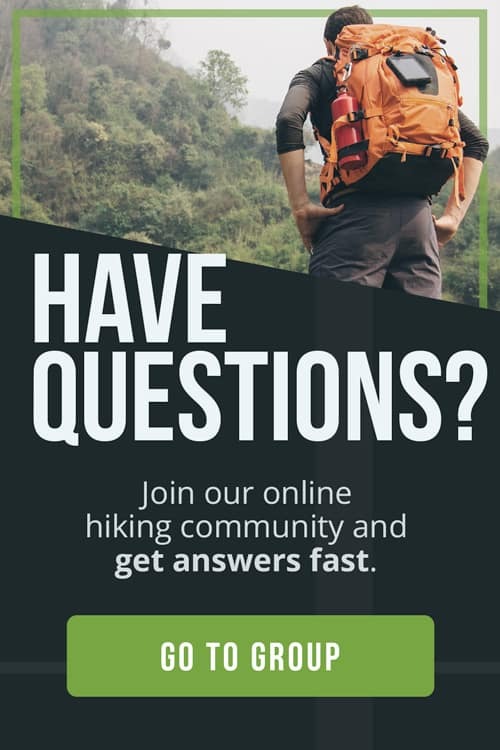 Hikes of 1-2 days duration won’t pose any problems, but if you’re planning on hiking for three or more days then you should look closely at the battery life to ensure it is appropriate to your needs. Alternatively, you could also investigate an investment in a portable solar charger that could not only power your GPS tracker but your mobile phone and other devices you may need on the trail as well. 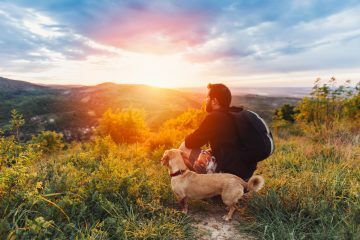 For the health and safety of your dog, it is so important to make sure that your GPS tracker not only fits well but also suits their style of hiking. 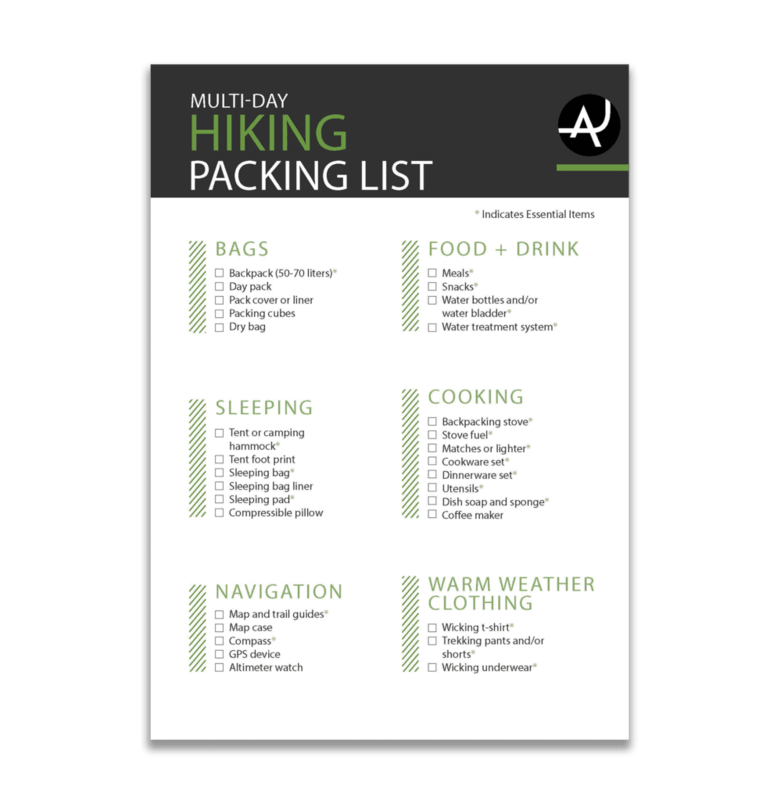 Remember, for every two miles you hike, with their numerous off-track excursions there is every chance your dog may hike three! The first thing to look for is the weight of the GPS tracker. Under a hot sun, or in poor conditions, you want to be doing everything possible to keep your dog as light and mobile as possible. Suspending a heavy GPS tracker from their neck will result in an overly fatigued dog at best, and an injured dog at worst. If you do end up purchasing an ultralight GPS tracker and you also happen to also be a cat owner, then after the trek is over you could consider transferring it from your dog to your cat, to keep track of their urban explorations! As much as we try to hike under sunny skies, sometimes nature doesn’t play along and we end up getting wet. There’s also a very good chance that your dog may end up in the nearest river in an effort to cool down. 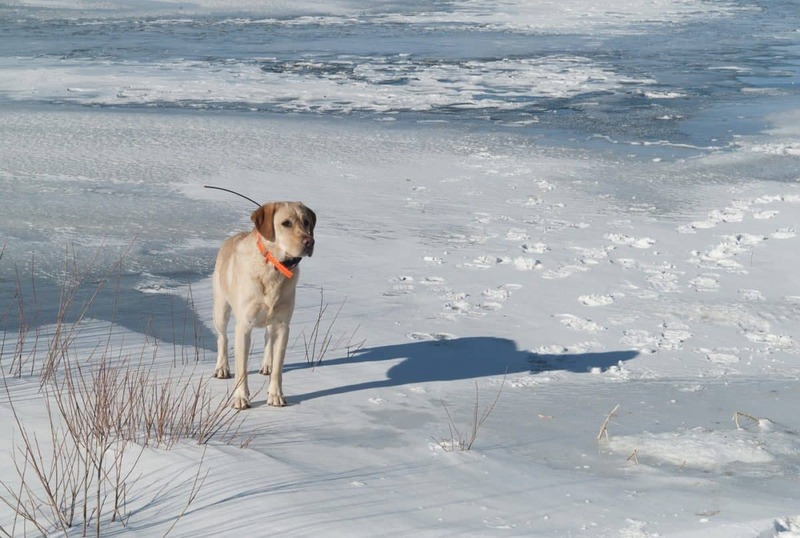 Either way, a waterproof GPS tracker can give you that extra peace of mind that you will always know the location of your dog, no matter what the conditions. 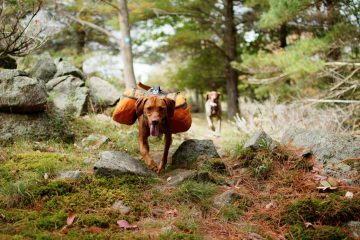 When selecting a GPS tracker, pay good attention to its design and try to imagine how that design will handle the vegetation and terrain that your dog may encounter off the trail. Are there any loops or loose pieces that could get hooked by a tree branch? Does it sit well around their neck? Will it excessively absorb water? A comfortable dog is a happy dog! While the GPS functionality in each device on the market is very similar, there are many other potential features that are worthy of consideration. The ability to “geo-fence” sections of the trail on a map before you start hiking can be useful. What this means is that if you know of an area that may pose a safety hazard to your dog, such as a cliff edge or ravine, you could mark this zone on the map before you leave and the GPS tracker will provide you with a warning via your mobile phone if your dog approaches or enters the zone. Some trackers record far more than GPS location, measuring your dog’s temperature, calories burned, steps taken, and other activity based information. These devices are often prescribed by veterinarians for dogs with health conditions, and the ability to track this information may prove useful in proactively monitoring your dog’s health. While still in their infancy, some models are now starting to provide a basic form of two-way communication so you can send your dog a command remotely and it will receive the command through its collar. 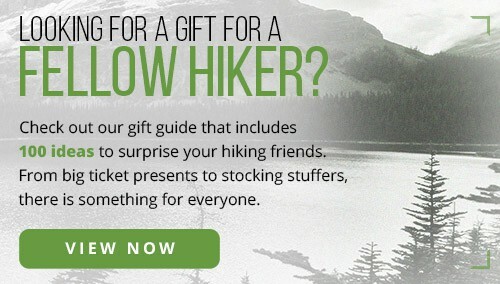 Or you could simply enjoy a long distance and one-sided conversation with your hiking buddy! Other features may include the ability to track more than one dog at once, or the incorporation of LED lights that can assist in tracking your dog at night. The technology of GPS dog trackers is still evolving, with few devices on the market suitable for use outside urban areas. Many trackers are not compatible with modern cell phone networks, and most have very poor customer reviews due to technical failings and flaky design. The products we have listed in this article are the ones that we believe are the best options at the time of publication.